NYC branch of London’s popular noodle chain overlooking Madison Square Park. 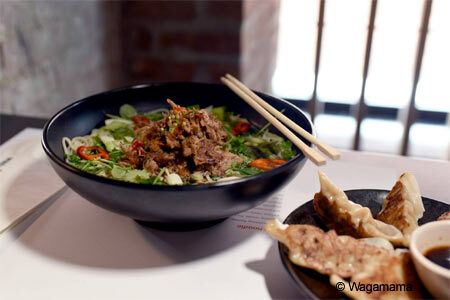 : London’s popular noodle chain has its first New York City outpost. The three-story space looks over Madison Square Park and the menu offers ramen, fried chili squid and Korean barbecue beef buns.